Is social media relevant for the building industry? Many businesses in the building sector feel that they should have a social media presence, but find it daunting or are unable to dedicate the time and resources to it. The key is knowing if your business will benefit from having a social media presence or not. Vivienne Forbes navigates the possibilities. The answer is with your customers or potential customers. Do they have social media? How well does it work for them? Chances are, if they are active in social media that is how they source information about businesses and products for their builds. If you are not on social media does that mean you are missing out? Even if you don’t have professional business social media profiles, you need to be paying attention to what’s going on in your industry. The key to becoming active on social media is knowing your clients and, if your clients use it, then you can replicate the platforms they are on, so you are active where they are too. Find out where the movers and shakers in your industry are on social media, join those networks. Start engaging in their posts by liking them, following them or making comment. You can do this as yourself or as your business name. If you are doing this as yourself you need to have a strong enough identity in the building market that you are identifiable with your business. We hear all the time – Why use social media? What is in it for me? For starters, you can extend your brand past your website, past your salespeople and past your front door. You can interact with your clients, your business community and share information about your business, regularly, as it happens. Your web page is the formal representation of your business, it’s professional, whereas social media shows the personality, the skill set of your staff and your business’ abilities. Social media can give your business personality and people do business with people they like. Social media is always on, 24 hours a day, seven days a week. It works for you when you are not working; it supports you when you are and ensures you are top of mind no matter what the time of day. It can be used as a photo gallery of the work you have done, to provide a snapshot of your team or your facilities. Social media can add to your credibility. 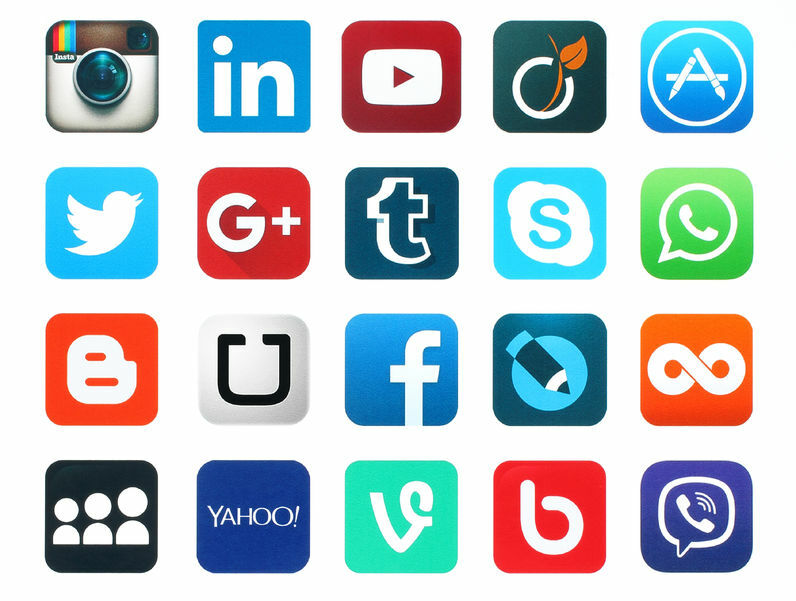 What social media platform to choose? The simple answer is you go where the fish are… First, think about this industry, it’s a visual one that works well with photos. Photos of the build, product design, the finished product, dramas along the way and how you overcame them etc. Think about your clients. Do your research. As mentioned, what social media are they on? If they are on Facebook, go there, if they are on Instagram, go there. You only need to be on a couple of platforms and you can link them together so you don’t double your workload. Facebook is for the more lighthearted side of your business. It is a great place for sharing your business news, sharing the fun part of your business with images, staff updates, new products, great wins or images of a terrific project you have completed. The simple way of explaining it is this: it is like a conversation you have with people about your business. It’s not the place for a hard sell, but a place to share the great things that you do at work. It is also a place to get feedback (or not, depending on how you set up your account). You can follow your clients, your competitors or your suppliers and create a community. You can have people engage with you and your business on a closer level. Instagram is like Facebook, but for images. If your business is high on visuals – a picture paints a thousand words. You can show your products as they need to be shown. You can detail their development and show examples of product usage. Lots of architects and designers use Instagram. You can utilise #s (hashtags) by ensuring that all of your images are in one place and can be sourced by using the # symbol. If the thought of #s makes you feel like you have entered the twilight zone, don’t worry. That can be explained another day. LinkedIn is becoming a stronger B2B platform these days, as it is about connecting with people in your industry, with your clients, suppliers. These days it is more than just a platform for your résumé. There are many discussion groups on LinkedIn, which you can join, or even start. It is a great way to become a voice in your industry, a thought leader. It’s a place where you can discuss your business with like-minded people. It is also a great way of connecting with people in Australia and around the world. You can find contacts in virtually any business everywhere, connect and communicate with them. Twitter has now expanded its word count to 280 characters, so you can say a lot more. It may be handy to have a Twitter account as the movers and the shakers in the industry may be there and you can follow them, like politicians, industry bodies, legislation etc. Announcements in these spheres tend to be broadcast on Twitter. If such things affect your building and construction business, Twitter may be of value to you. You can join the conversation and make your voice heard, it can be your opportunity to communicate with the people that matter, or be a silent observer. Once you know the social media platform that suits your business, how do you get it going? There are many tools on the internet that show you step by step how to set it up. There are also companies that can help you. Once it is set and ready to go, how do you build it? Here, your staff are the key. Find the staff who are passionate and care about your business, so they can become brand advocates for your business on the social media platforms. By having them on board, you will see the benefits as they in turn promote it externally and help grow your following. Advocates become actively involved – by liking your posts, sharing your posts and providing information for your posts. All of which helps to grow your following. You also need to start following people who interest you. They will then follow you in return and, the next thing you know, you have a community. Make sure you support it by having links on your website, email signatures and any communication that is sent externally. There are a couple of things to keep in mind if you want to have a social media presence. First, do you have a social media policy? You need to be aware of any possible ramifications of having a social media presence. How would you react if it goes sour, with negative feedback, for example? Fortunately, there are many social media policy examples on the internet to help you be aware and prepare for any pitfalls. You can also advertise and pay to promote yourself on social media. This comes down to knowing your market, as you can pinpoint your advertising quite easily. The good thing is it doesn’t cost much to trial and a small investment will give you an indication if that is the platform for you. Just be aware that with any advertising it is all part of the mix and you can’t just focus on one medium to get your message across. Good luck and l am sure it won’t take long for you to see the benefits of having your company/brand on social media.